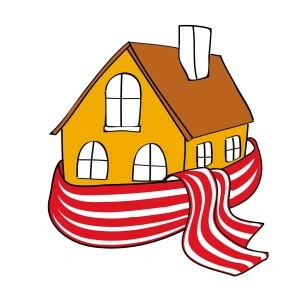 You are here: Home / Articles / Winter warmer for low income households. Following on from our recent article titled ‘Winter tips to improving the comfort of your existing home’ we wish to promote this excellent initiative to assist low income households. The Tasmanian Government, with the assistance from SEMF, have a state-wide program to help reduce energy cost to low income households. This program is available to people on low incomes who either live in their own home or are private rental tenants. The Housewarming program will deliver to each home an energy assessment, a range of low cost installations to improve energy use, education and personalised power and water savings plan. The aim is to assist eligible households to reduce their residential energy usage while keeping their homes warm in winter. This will be achieved by making homes more energy efficient as well as supporting them to make cost-saving changes in how they use energy. Benefits of the program will be warmer and more comfortable homes as well as savings on power and water bills, with reduced greenhouse emissions. Assessment of the outcomes will be undertaken during and after 12 months to check that the proposed energy savings measures are sustainable. In Phase 1 of the program we will install the energy saving measures and undertake the energy assessment and houshold training. In Phase 2 we will evaluate what has been done to determine if the projected savings have occurred and what behavioural changes have been achieved with households. or ‘CLICK HERE’ to find out more from their website.